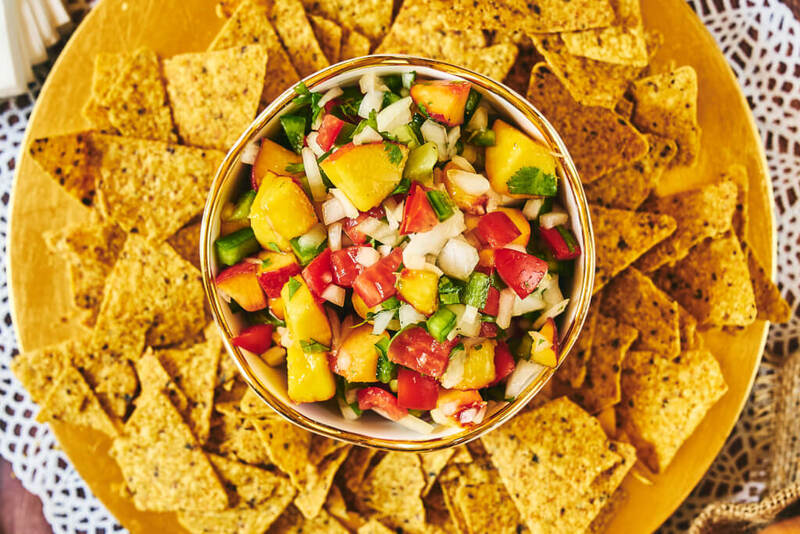 Home-grown goodness just got better with our Peachy Sweetie Sweet Onion Salsa recipe. 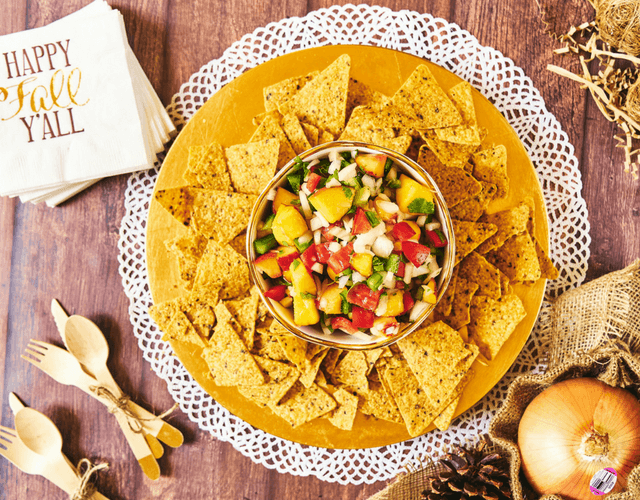 There’s no other true sweet onion that matches the perfect balance of sweetness and pungency found in Peri & Sons Farms Sweetie Sweet®. 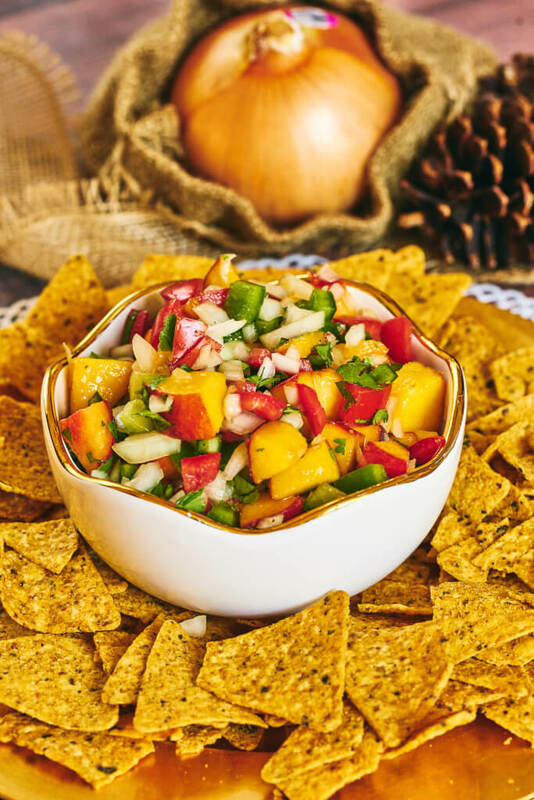 Grown, hand-harvested, and cured with care exclusively in Nevada and California, this sweet and sour treat makes this salsa mix an upbeat fusion of flavor and freshness. Peri & Sons Farms, a family-run company driven by the love of onions, hopes to expand your knowledge and enjoyment of one of the world’s oldest and most widely used vegetables. Their Sweetie Sweet onions are available in USDA Certified Organic (certified by Organic Certifiers) and also available as Certified Pesticide Residue Free* by SCS Global. 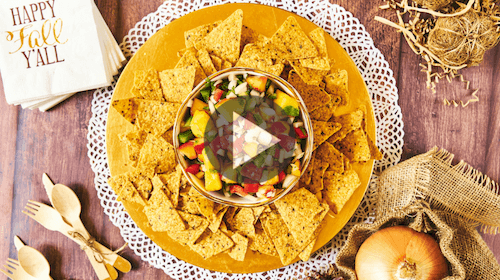 TIP: Serve this salsa with seafood, tacos, burgers, or eggs! Chop tomatoes removing most of the seeds. 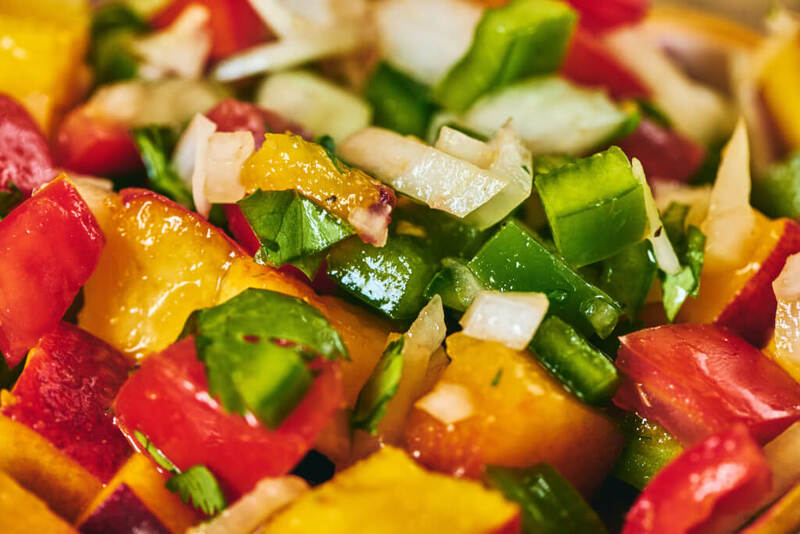 Finely chop the seeded bell pepper, jalapenos, and Sweetie Sweet onion and add to a large bowl.